Soaked is a song by Adam Lambert in the Pop genre. It was released in 2009 by the RCA label. The artist's official site can be found at www.adamofficial.com. 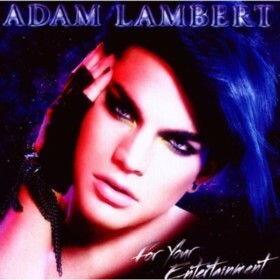 Soaked is the fifth track on Adam Lambert's debut album, For Your Entertainment. I've watched American Idol from the first season and Adam Lambert is probably the third real "star" that the show has discovered (the other two being Clarkson and Underwood). Adam is extremely dynamic and his an unbelievable range that is exemplified throughout this song. This is one of the most meaningful and thought provoking songs on the album, definitely in the top three. I can't wait for his next release and to see who else American Idol discovers.